Enjoy the natural beauty of coastal Delaware in this sophisticated home in the Long Neck Shores located within a quiet cul-de-sac. 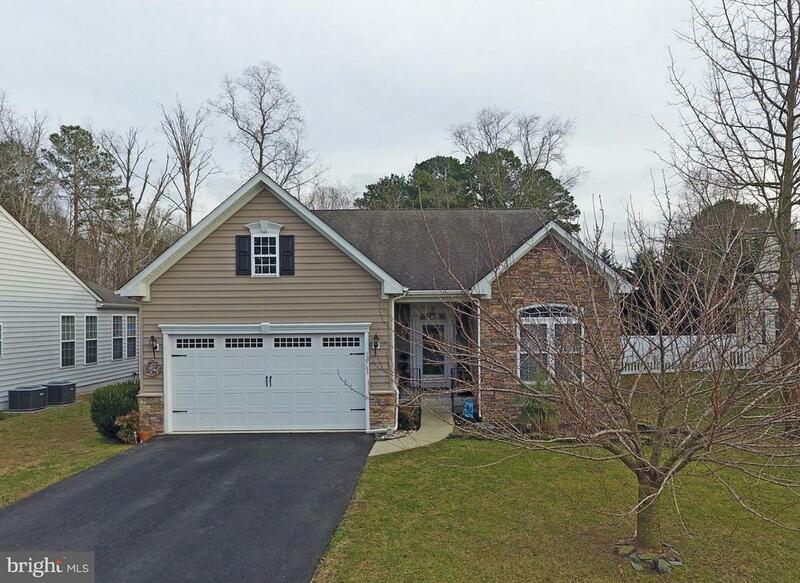 Offering 3 bedrooms and 2 full baths, this pristine home has a relaxing 3-seasons sunroom as well as a large screened-in porch. The inviting foyer leads to the open concept plan with a perfect space for entertaining. Kitchen and dining are adjacent to the sun-filled porch area with room for all to enjoy. Oversize owners suite with luxury bath and two guest bedrooms all on one level. 2-car garage has plenty of storage and attic space galore. Grand community clubhouse and pool for all to enjoy.